Welcome to Top Notch Farm, Albuquerque's Premier Hunter Jumper Facility. Top Notch Farm is home base for Laurie Mauderly-Bush and her team of dedicated equestrians. Located just fifteen minutes from downtown Albuquerque in scenic Bosque Farms, NM, Top Notch Farm offers boarding, training, and lessons for riders of all levels and disciplines. 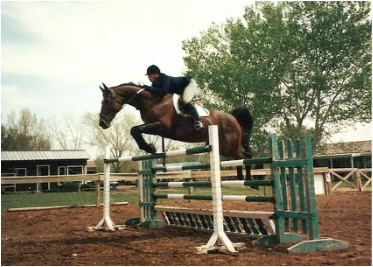 Laurie specializes in hunt seat equitation and showing hunter/ jumpers, but regularly trains riders of all ages, disciplines, and skill levels. Whether you are looking to ride a horse for the first time, or want a trainer to take you to A-level shows in the area, you will find the perfect home at Top Notch Farm.